Becoming a parent has me revisiting certain aspects of my childhood and reappraising myself. This is both good and bad. I’ve learned, for instance, that I’m no better at math than I used to be. To my horror I’ve even discovered that I’m not terribly good at my multiplication tables. Another low point of my childhood was my artistic ability. I never got much further than stick figures and it seems that, decades later, I’m not going to discover a hidden talent for arts and crafts. 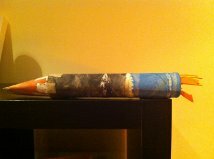 When I tried to make a rocket for my four-year-old’s homework assignment, I spent an inordinate amount of time trying to stick it together. It still looks very much like what it once was, a cardboard tube for kitchen paper. But the one thing that is a pleasure is reading books that I once loved as a child – and seeing them through the eyes of an adult. When the kids were really small, I was reading the same books over and over again and starting to feel mildly hysterical because of it. How many times can you read the rhyme in Each Peach Pear Plum – as cute as it is – without feeling like Bill Murray in Groundhog Day each time his alarm went off? One of the worst was a collection of stories about the cartoon character Dora, which I’m pretty sure was written to torture adults. The kids loved it, I hated every single badly written sentence. Secretly, I was tallying up all the grammatical errors. Now, however, we’ve graduated to chapter books and I’ve read Ramona the Pest by Beverly Cleary and Roald Dahl’s James and the Giant Peach. Both are highly recommended. 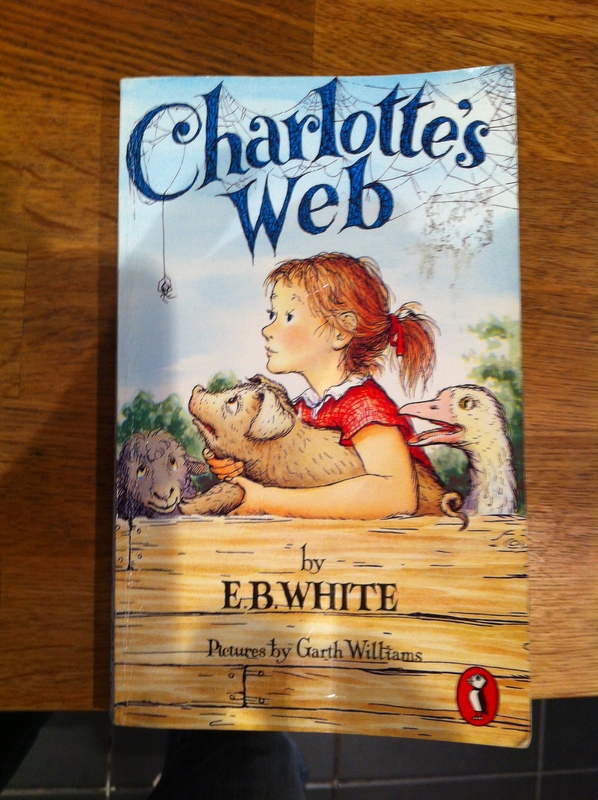 We’re currently halfway through Charlotte’s Web by E.B. White. Charlotte’s Web has brilliant observations about life. It’s told through the perspective of Wilbur, a young pig, who gets a little morose when he’s lonely and asks a lot of questions. He later learns that the farmer is fattening him up only to kill him at Christmastime, which throws him into hysterics. Well, he thought,’ I’ve got a new friend, all right. But what a gamble friendship is! Charlotte is fierce, brutal, scheming, bloodthirsty – everything I don’t like. How can I learn to like her, even though she is pretty and, of course, clever? Wilbur was merely suffering the doubts and fears that often go with finding a new friend. In good time he was to discover that he was mistaken about Charlotte. Underneath her rather bold and cruel exterior, she had a kind heart, and she was to prove loyal and true to the very end. It made me wish for a friend like Charlotte at that very moment, someone who would rescue me when I feel down. Knowing how the story ends, I wonder if I will be able to get through it without sobbing for her and Wilbur. A good book is a gift. You learn more about yourself and humanity in the process of reading it. A children’s book, even when read by an adult, is no exception. What book did you love as a child? Tell me.